As many of our regular visitors and readers will know, we are a highly skilled organisation when it comes to fitting cabinets for very expensive and delicate technology, but the introduction of our recent new service involves a slightly different type of cabinet in situ with technology that is equally as delicate. 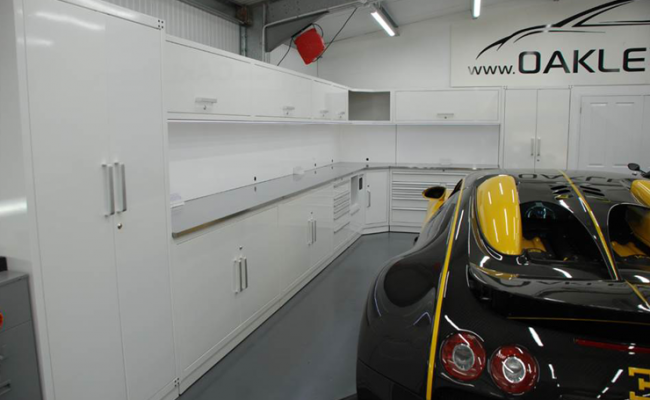 Sophisticated garage storage is now becoming very popular, whether it is for the enthusiast who wants to have the latest kit adorning the walls of the garage at home, or the professional engineering company who specialise in motorsport and super cars. 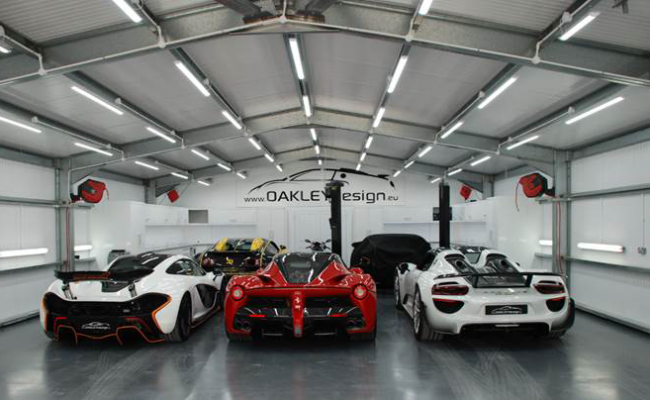 Oakley Design trade at the very highest level of motorsport, and their love for their cars, the supreme quality of services they provide, and the extremely passionate industry they trade within, demonstrates perfectly how diligent and selective they need to be when choosing a storage solution for their premises. So, what do Oakley Design actually do? 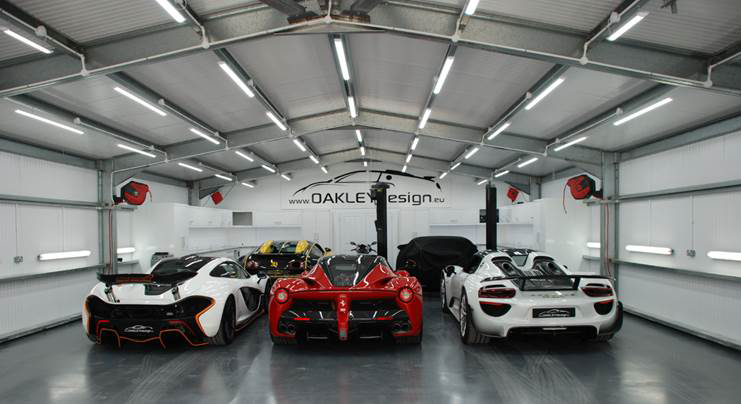 Oakley design don't build super cars, they make them better. 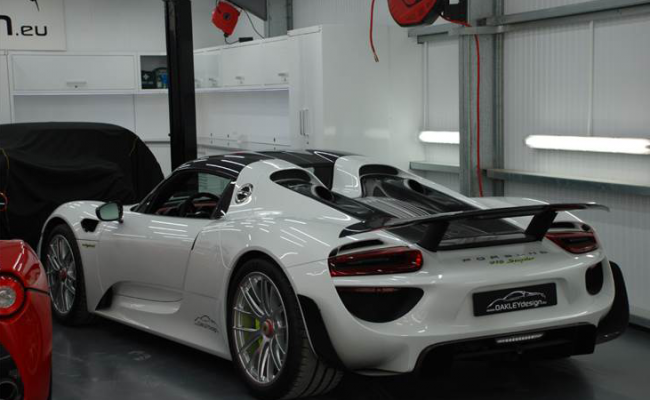 They fine tune vehicles for ultimate race performance, but also inject unique design attributes into an already beautiful car. The outcome is something very special indeed. 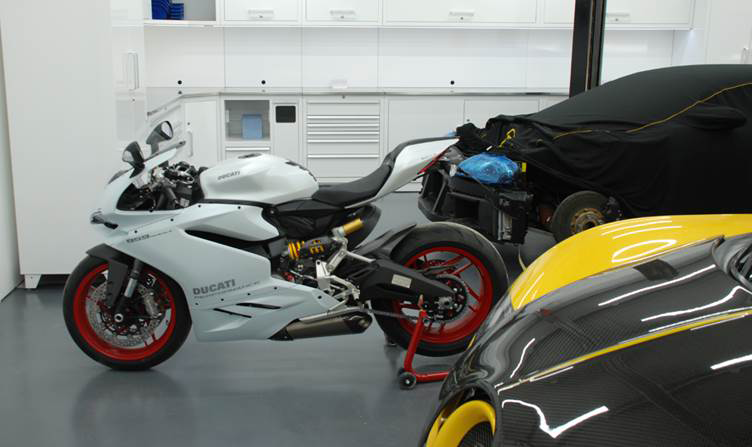 7Tech were tasked in meeting the storage requirements required at the Oakley Design premises in the south east of the country. 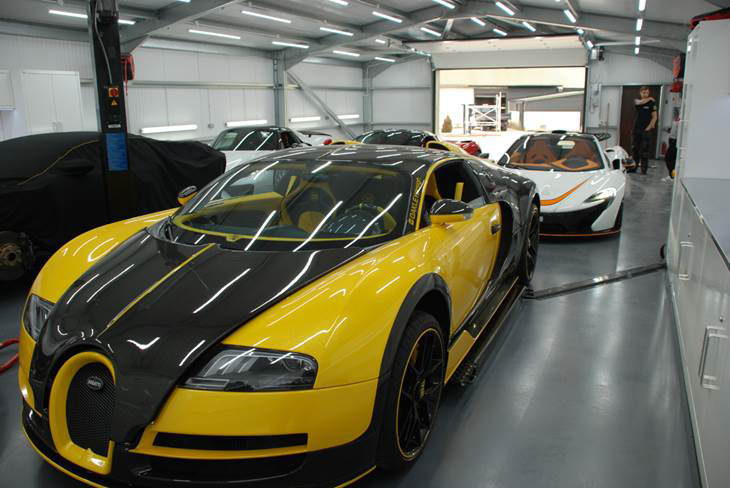 This unit houses some quite outstanding cars as you can see from the images adjacent. 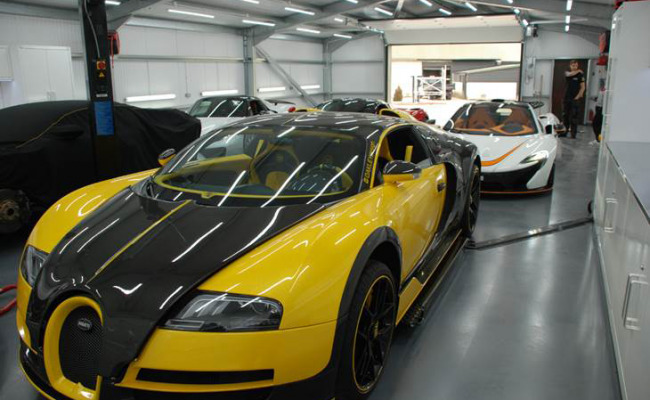 This required a well thought out and efficient installation that would not only provide excellent high quality Sealey storage, it would also need to meet the standards and practices of Jon Oakley and his team. 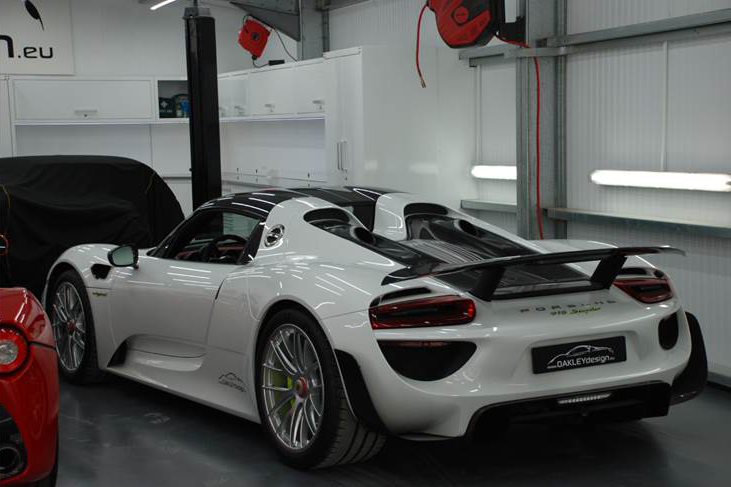 The outcome was a stunning environment which would be appreciated even in the highest level of motorsport. The clean lines of the Sealey cabinets really create a superb backdrop for the cars, and accentuate the almost clinical environment needed to work on such highly calibrated vehicles. 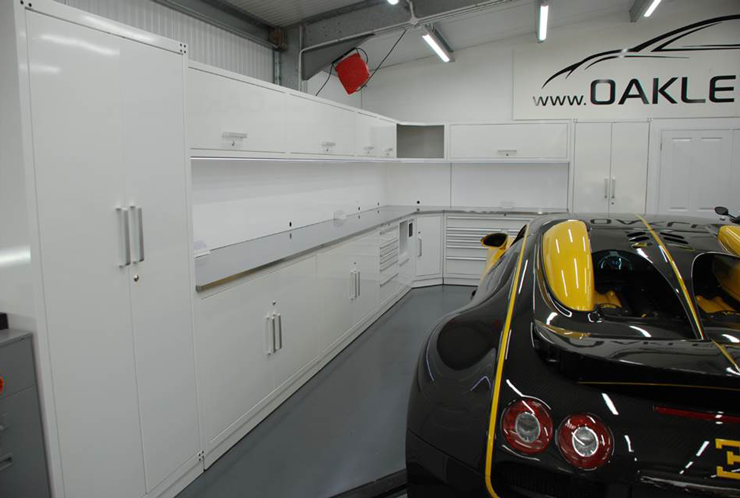 Jules Gooch, Managing Director of 7Tech stated; "Sealey cabinets are incredible value, and being able to supply cabinets for such a prestigious and exciting company like Oakley Design was very exciting for us at 7Tech. Although their own engineers were able to install the storage systems themselves which is something we would normally do, just to see the result of good planning, a high quality product and viewing it all in situ was a very positive experience. 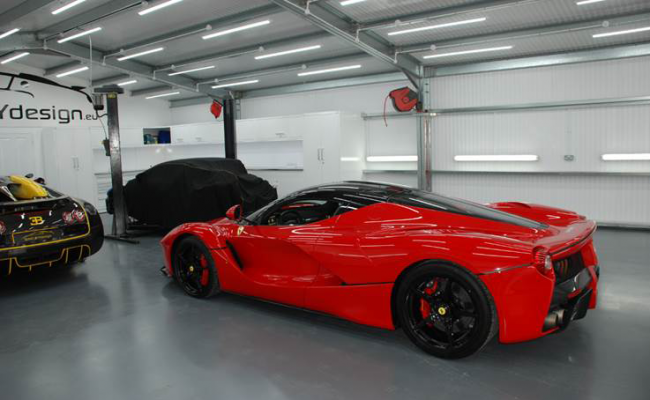 Notwithstanding the eye candy experience viewing some of worlds most exciting cars in close proximity." For 7Tech it of course was a pleasurable experience, not only viewing this fabulous storage installation, but also seeing how well they fit into a unique environment. We would like to thank Jon very much for his business, but also for the experience in working with Oakley Design.